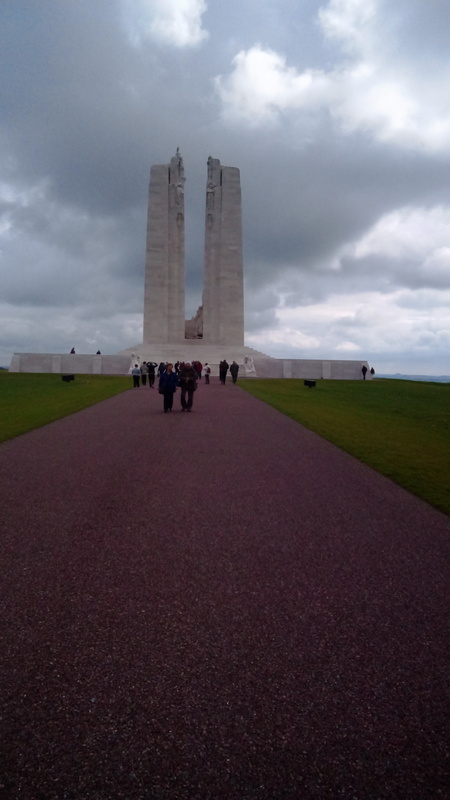 We visited a lot of war memorials, museums and cemeteries and I am proud to say the Canadian ones are the best. First we visited Beaumont-Hamel, the Newfoundland memorial where a battle was fought on Jul y 1, 1916. We arrived just in time for a tour with Olivia, a college student from Newfoundland. 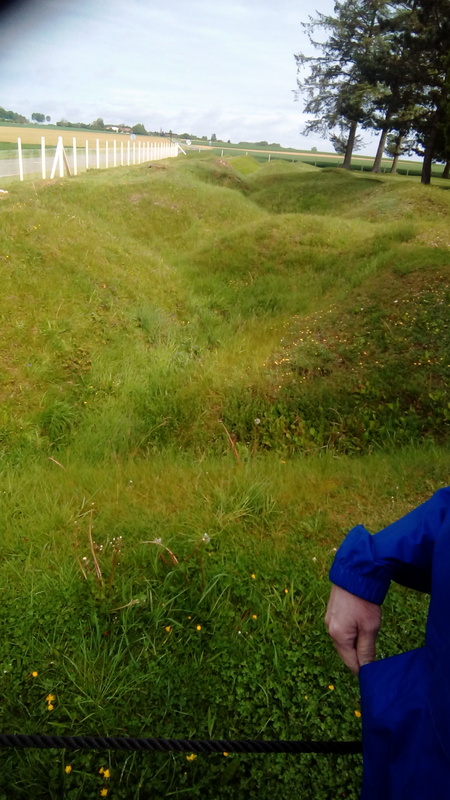 The remains of trenches at Beaumont-Hamel. That battle was a shambles from start to finish. Everything that could go wrong did go wrong, and the result was 86 per cent rpate and only about 60 men responding to roll call the next day, on July 2. The first of July is a mixed day in Nfld, with a memorial service in the morning and a celebration in the afternoon. 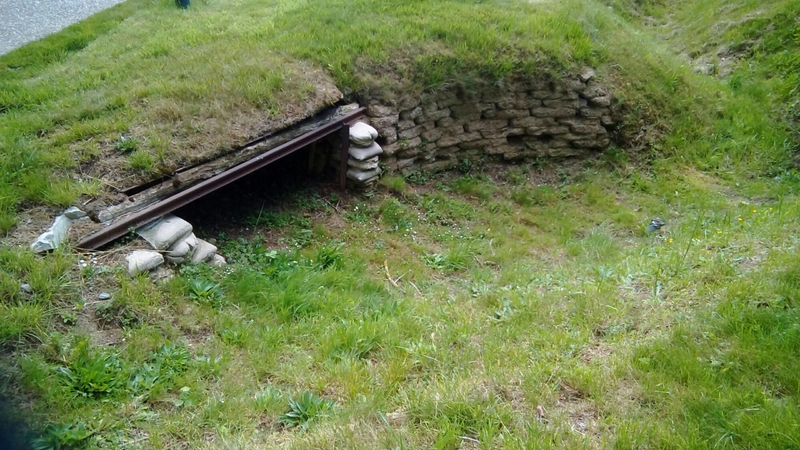 Portion of a trench showing a hole where soldiers slept. Olivia explained that the two world wars decimated the Newfoundland economy and resulted in it joining Canada in 1949. The Battle at Vimy Ridge on April 9, 1917 had the opposite result for Canada. It was a battle where Canadians fought alone without British officers and gained a reputation as fierce fighters. 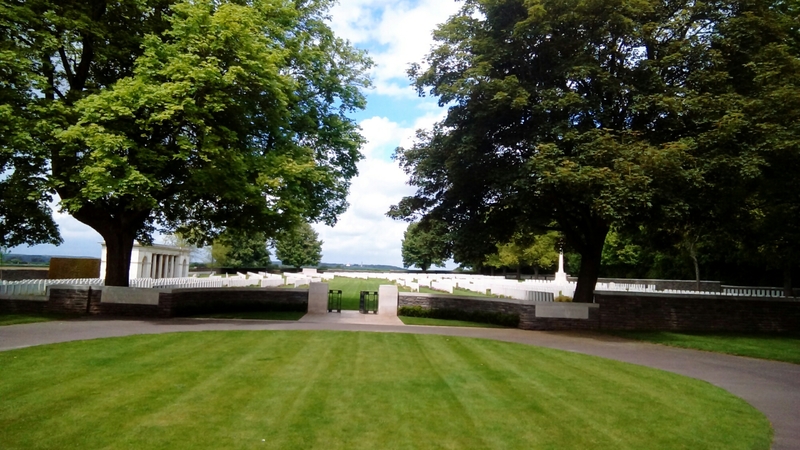 The names of 11,285 of Canadian soldiers with no known graves are inscribed on the memorial. Though Canadians achieved their objective and pushed back the Germans in 4 days of fighting, they did so at great cost. Three thousand five hundred ninety-eight soldiers were killed in the 4 days of fighting.